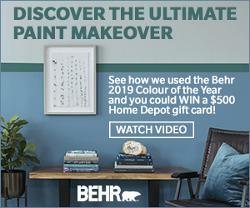 Prize: $500 Home Depot gift card for use towards Behr paint, and a Behr colour consultation! Statistics: This contest was opened by 139 and entered by 37 ContestChest.com members. 27% of those who opened the contest, entered it.